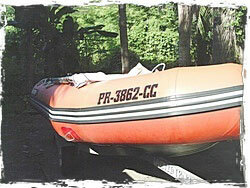 Protective Boat Covers for inflatable boats by BoatsToGo. 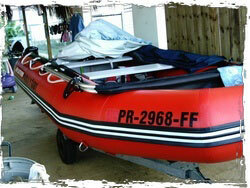 Boat Covers for Inflatable Boats & Dinghies. Protect your inflatable from damaging UV-rays, seagulls, dust and dirt. Keep it clean and as good as new. Shelter your inflatable dinghy from rain, sun and dirt. 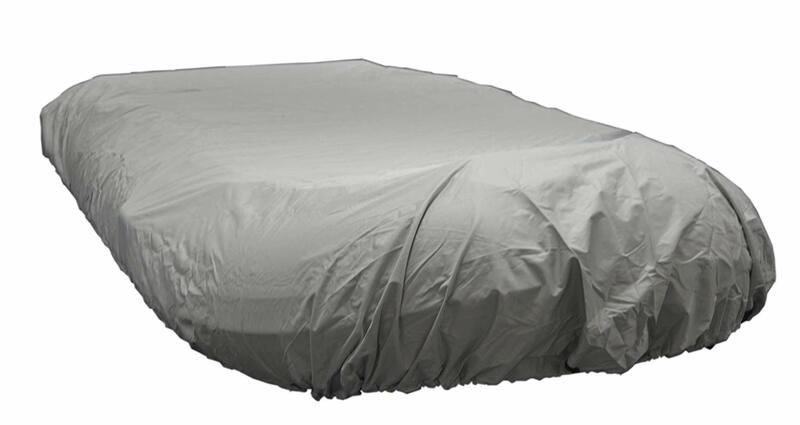 Our PVC heavy-duty boat covers offer excellent durability, superior stain, water, mildew and UV resistance, and won't shrink or stretch like many canvas covers. Guaranteed to fit ONLY Saturn boats. Can also be used with Azzurro Mare boats. Comes with a rubber cord around the bottom of the cover for a perfect fit. Just pull on the cord to create proper tension. It can be transported on a trailer or towed behind a boat with additional fastening by bungee cord or extra rope. If you are planning to keep the boat inflated, a cover is a must in order to protect your investment and prolong the lifespan of your boat. Please visit our Frequently Asked Questions section for more information on how to extend the life of your inflatable boat. Here are two identical 4-year old Saturn boats owned by two different customers in Puerto Rico. One boat was never covered, another was cleaned and covered with a boat cover. Guess one of above boats was covered and which one was left to rot under the sun?